Fertility: Pods easy most years. Pollen always easy.. Flaws: Absolutely none, but grows poorly in Florida. Exceptional qualities: Beautiful color. Great form. Excellent scapes. No thrips damage or spottiing. Sunfastness is excellent. Plentiful Supply: Because we have dozens of clumps of this, we have kept the price low and will send at least double divisions. 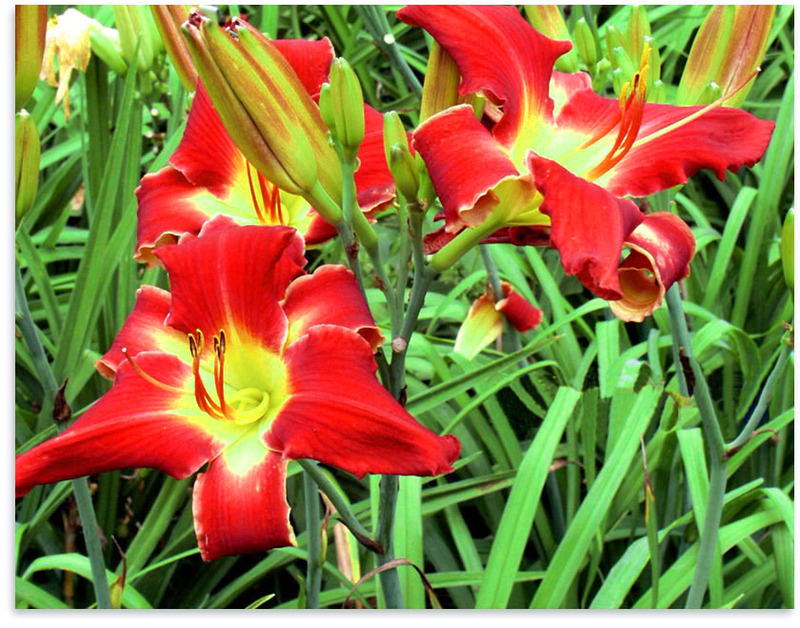 The award for best all-around daylily among this year's introductions goes to Red Crispies. It excels in almost every category. First, the color is as clear and pure as any red daylily I've ever seen. The yellow-green throat helps the color carry. Scapes are tall and well-branched. The bloom time, late-midseason, to very late, extends the daylily season. The plant grows very well in adverse conditions and will persist for most people for a lifetime, or many lifetimes if the plant is passed along to children and grandchildren. It is a great parent for pure reds with narrow, artistic forms. 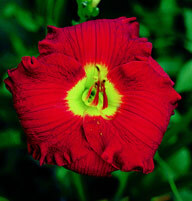 It first bloomed many years ago, and it has been thoroughly tested. And best of all, we have so much of it that we've been able to keep the price relatively cheap.